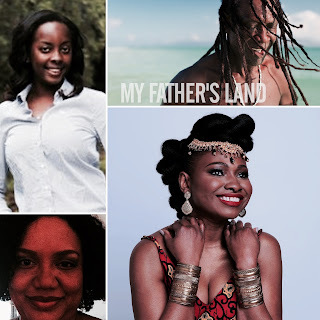 Join me this Friday night at 9PM to discuss her new album with singer Sherlee Skai (9 to 9:30PM) and Haitians in the Bahamas and the film My Father's Land with Natacha Jn-Simon. This last segment will be started with audio of a Q&A with My Father's Land protagonist Papa Jah at Haiti Film Fest. Listen live or archived right here at kiskeacity.com or http://www.blogtalkradio.com/pancaribbean/2017/07/01/legacy-of-1804-sherlee-skai-and-natacha-jn-simon-lof1804 . You can also listen to the live broadcast at 714-242-6119. In the first segment (00-00:30) Sherlee Skai talked to us about her upcoming album and the premiere for it taking place July 8 in Brooklyn. We also listened to her music. For the rest of the show Hugues Girard and I talked to Natacha Jn-Simon, a Bahamian of Haitian descent and student in Florida after listening to the Haiti Film Fest panel discussion for My Father's Land, a film about the journey to Haiti of Papa Jah, a Haitian living in the Bahamas. She answered questions about how she was able to become a "paper Bahamian" and get scholarships while other stellar Haitians in the Bahamas were not. We also discussed Haitian identity and living standards in the Bahamas, the colonial origins of the stigmatization of Haitians in the Bahamas, inevitable upward mobility, parallels and distinctions with the situation of Dominicans of Haitian descent, Bahamian Haitian young adult organizations, Papa Jah's neighborhood The Mud, home of a recent Bahamian Miss Universe candidate of Haitian descent and Ms. Jn-Simon's and her parents' personal experience. Haiti Film Fest panel discussion on films by Haitian Dominican Jean Jean and Papa Jah, a Haitian Bahamian. 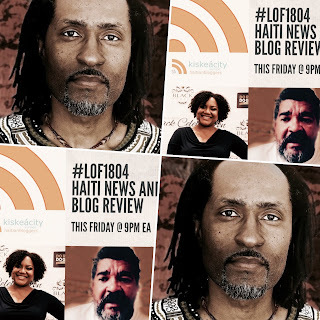 Listen live or archived right here at kiskeacity.com or http://www.blogtalkradio.com/pancaribbean/2017/06/24/legacy-of-1804-haiti-news-blog-review-community-ueh-haiti-film-fest . You can also listen to the live broadcast at 714-242-6119. Hugues Girard and Dr. Judite Blanc,a professor at UEH, reacted abundantly to the last two segments, discussing various difficulties faced by Haitian students, including gatekeeping. Listen live or archived right here at kiskeacity.com on the below player or at http://www.blogtalkradio.com/pancaribbean/2017/06/17/legacy-of-1804-haiti-news-blog-review-what-is-going-on-at-ueh-lof1804. You can also listen to the live broadcast at 714-242-6119. In addition to my announced guests, Hugues Girard and Jafrikayiti, we were joined by Dr. Judite Blanc, a professor at UEH who has been held hostage in student/faculty negotiations in the past. In a long intervention in Kreyòl, Dr. Blanc deplored various Haitian stakeholders' indifference to the running over of a student (John Rock Gourgieder) by a car by of Professor Yves Blot. She explained the deterioration of the atmosphere at UEH and recalled her days as a student there when faculty actually debated issues rather than the current climate where violence seems to be the initial means of conflict resolution. She surmised that the social extraction of the students, who come from the most disadvantaged backgrounds in Haitian society, probably explains both the tensions between them and their middle class professors and the general indifference to or worse, endorsement of the violence with which their legitimate demands as students are met. I found out after the show that a petition is now being circulated in solidarity with John Rock Gourgieder, the student who was run over by a car on the UEH campus. Join commentator Hugues Girard and me tonight at 9PM as we discuss the latest Haiti and Haitian diaspora news. Listen live or archived here at kiskeacity.com or at http://www.blogtalkradio.com/pancaribbean/2017/06/03/legacy-of-1804-haiti-news-and-blog-review-john-kelly-in-haiti-lof1804. You can also listen to the live broadcast at 714-242-6119. In addition to Hugues Girard, we were joined by Rachelle Salnave from Little Haiti, Miami and Frantz André from Montreal, Canada. Frantz explained, that in addition to the 50,000 TPS holders in the US threatened with deportation, there are 3,200 Haitians in a similar situation in Canada. Rachelle discussed the imminent gentrification of Little Haiti, a place where many TPS holders reside. It all comes together in the end. What about all this insecurity of status benefits the Western status quo?